At BlueMaxx Basement Systems, we do not recommend this type of drainage system installed in your home. Instead, we suggest installing an interior basement drain along the inside perimeter of your basement or crawl space. For a free waterproofing quote in the Winnipeg area, call or e-mail us today! On top of that, the process is extremely expensive, costing $15,000 to $20,000 per installation. 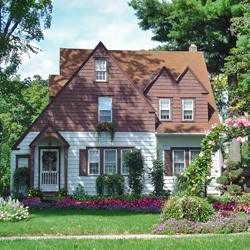 The installation time is twice as long or more than if you choose to have an interior system put in. A clogged French drain systems found installed around a home in Winipeg, MB. 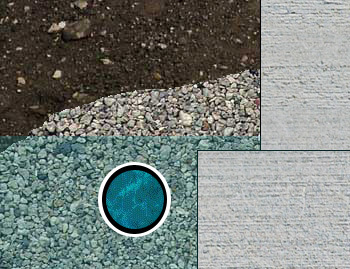 French drain systems have been installed on the outside of homes since the 1920s, and if they were the best way to dry a basement, BlueMaxx Basement Systems would be installing them, too. Sometimes, a contractor will try to stop this by laying down a layer of filter fabric around the drain. 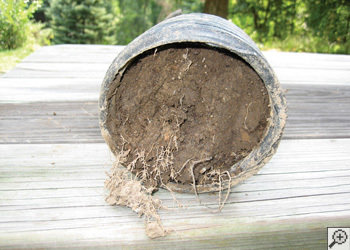 In this case, instead of the drain clogging, the filter fabric does and won't let water into the pipe. Other problems such as freezing pipes and improperly sloped lines are also common. 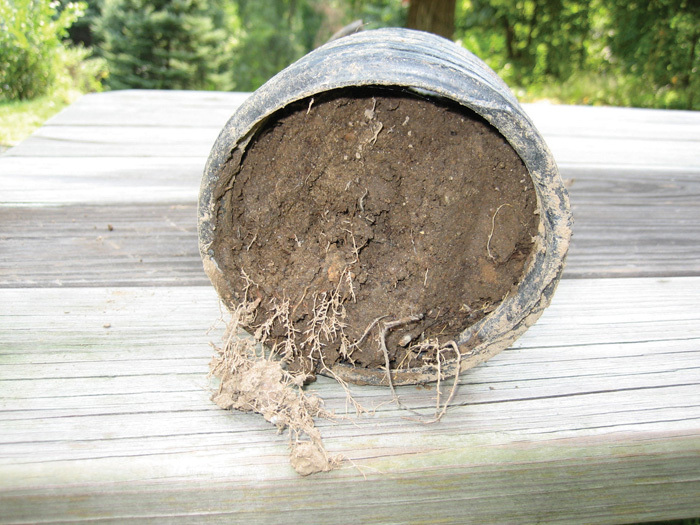 This type of exterior drainage commonly will not handle water that collects under your basement floor, in which case you'll still need a sump pump inside your basement. Some contractors even connect the exterior drains to the sump pump inside. Now that's sure to clog! 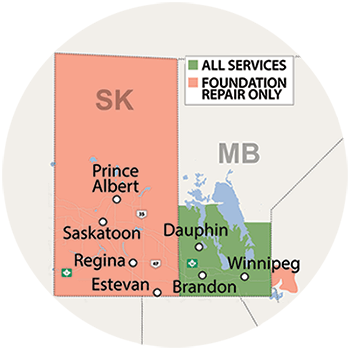 We service the Winnipeg area, including Winnipeg, Arnot, Brandon, Brochet, Dauphin, Island Lake, Little Grand Rapids, Lynn Lake, Melita, Nunalla, Port Nelson, Russell, & Swan River, and nearby.